Shares in Barrick Gold Corporation (NYSE:ABX)(TSX:ABX) fell on Thursday over investor concerns that the Canadian company's Tanzanian unit dispute with the East African country is far from settled. Barrick stock trading in New York fell as much as 7.6% by early afternoon, slicing more than a billion off its market value. For the week the Toronto-based gold miner, the world's largest in terms of output, is down more than 12% and is now worth $17.1 billion on the NYSE. 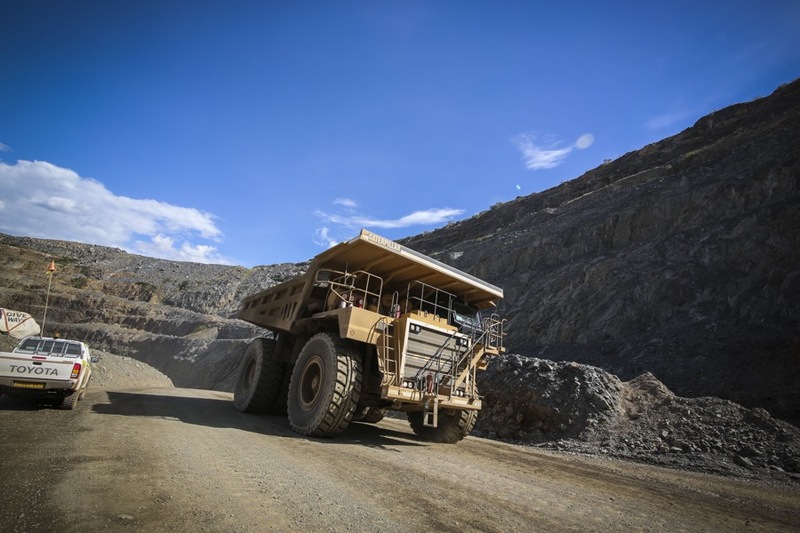 In its third quarter results released yesterday Barrick reported adjustments of $172 million in a tax provision relating to a framework agreement between its 64%-owned Acacia Mining subsidiary and the government of Tanzania. Last week Barrick announced that Acacia would pay Tanzania $300 million and hand the government a 16% stake in three of its gold mines, to end the dispute. The gold producer has faced government pressure since March when the country imposed a ban on gold concentrate, which represents about a third of Acacia’s output. In July, Tanzanian President John Magufuli served Acacia with a $190 billion (yes, billion) tax bill. Barrick also cut its full-year gold production guidance and the company now expects to produce 5.3–5.5m ounces in 2017 compared to a target of 5.6–5.9m ounces at the start of the year. We now believe that the focus will shift to the weaker operational results in 2017 YTD (Veladero spill, Turquoise Ridge ore issues and lower PV throughput due to sulfur in ore in Q3), value loss at Acacia and ABX's relative production profile vs. peers over the next three years. As a result we are reducing our target NAV multiple to 1.70x from 2.00x (peer average is 1.85x). There were mixed fortunes for other gold miners releasing results this week. Shares in world number two producer Newmont Mining (NYSE:NEM) also came in for punishment losing nearly 4% in New York in midday trade Thursday after announcing rising costs and disappointing selling prices for gold during its third quarter. The Denver, Colorado-based miner has overtaken Barrick as the world's most valuable gold miner with a market worth of $19 billion. Newmont maintained its 5.0–5.4m ounces output forecast for 2017. Goldcorp surged 5.9% out of the gate on Thursday before giving up most of those gains after the Vancouver-based company announced a 88% jump in net earnings for the quarter despite a fall in production. The world's number four gold miner in terms of output kept its outlook for the year the same at roughly 2.5 million ounces. The company also announced a 26% jump in gold mineral reserves to 53.5m ounces, primarily due to the conversion of 4.7m ounces into reserves at its Century project at its Porcupine mine in Ontario Canada following a positive pre-feasibility study.